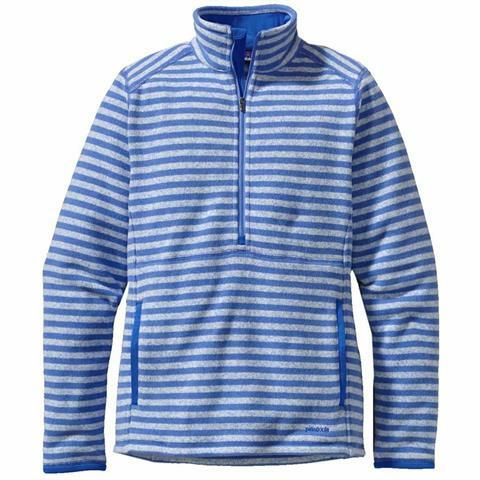 A cozy, longer-length pullover in Better Sweater™ fleece with a deep 1/2-zip and handwarmer pockets. 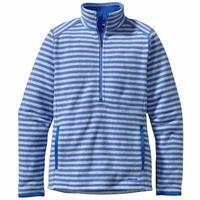 Solids made of a cable-knit fleece; stripes made of sweater-knit fleece. Old-school stripes meet new-school comfort. Our classic marsupial pullover is made better with the Better Sweater™ fleece, which has the look of wool but is made of easy-care polyester fleece. A long front zipper with internal wind flap and garage allows for easy on/off and comfort control. The tall stand-up collar is lined with brushed polyester jersey to provide warmth in dropping fall temps. Marsupial-style handwarmer pockets are lined with polyester jersey; cuffs and pocket openings have polyester jersey trim. Front and back contoured seams provide shaping and a great fit. With forward-set shoulder seams. Hip length.